Many, many years ago, before I was even married (34 years to be exact) I worked in an office environment. I was a young girl at the time, right out of high school and had no game plan for my future. None. It was my mom that used to try and force me out of the house to find a job and go to work. “The job’s aren’t going to come to you” she used to tell me. Little did she know, this one actually would. The part in my story I was *trying* to work towards, was in meeting my good friend Mary in that particular office. She was a good bit older than me at the time and a wife and mother of two young daughters. Our desks sat next to each other and we would talk and laugh throughout the day. She had such a great sense of humor and was warm and friendly to me and always made me feel valued and special. Mary attended our wedding and even made our first born son’s “binky” that he treasured for many, many years as a baby. 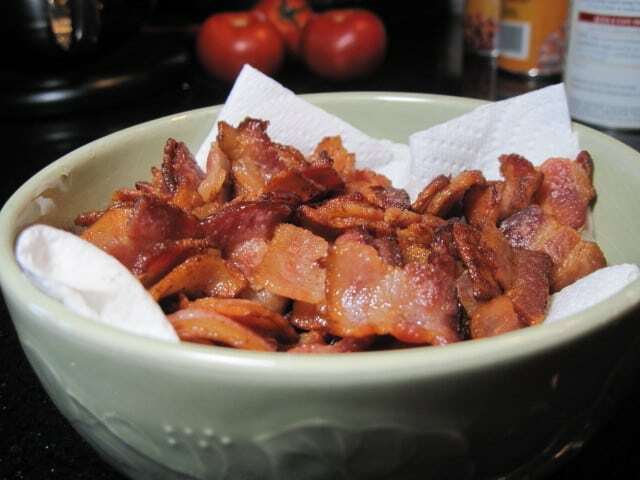 -Cook and crisp the bacon in a large dutch oven over medium high heat. Remove the bacon to drain on paper towels. 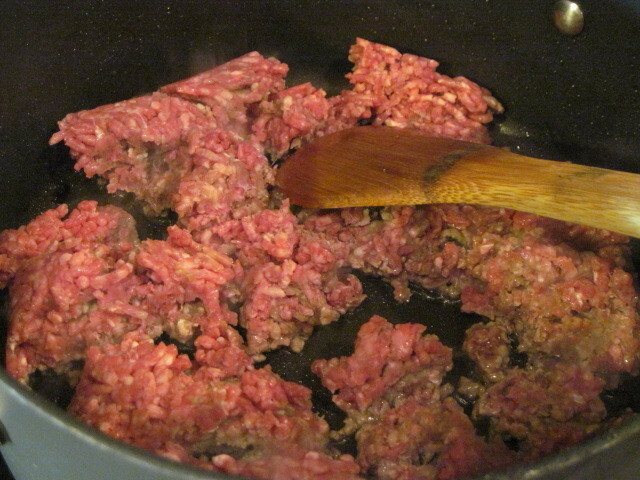 Discard all but 1 tablespoon of the bacon fat and brown the ground beef in the same pot. 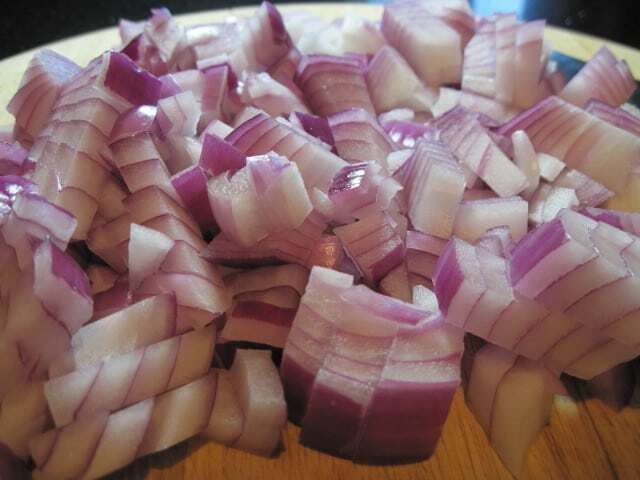 -Meanwhile, chop the red onion and mince the garlic. -When the beef is 50% browned, add the onion and garlic to the pot and continue browning the beef until completely cooked. 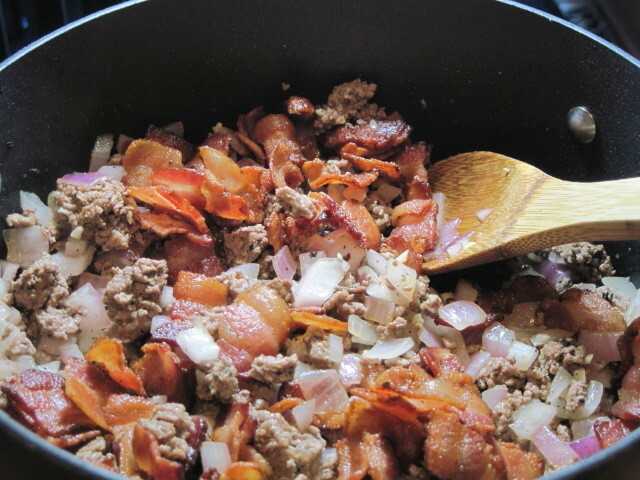 -Add the bacon and stir to combine. 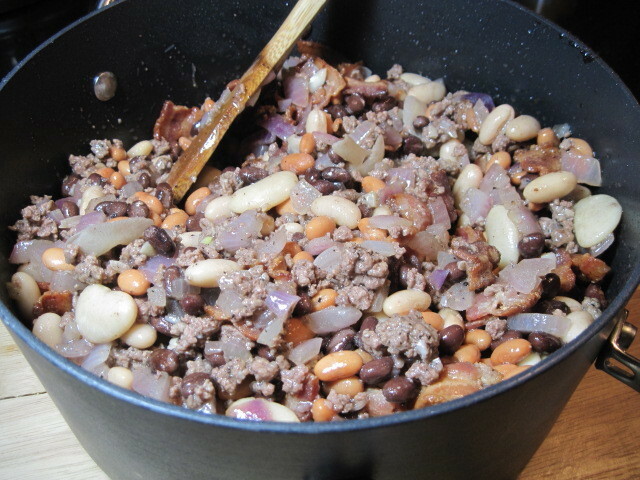 -Drain all the cans of beans (except the pork and beans) and add them to the beef and bacon mixture. 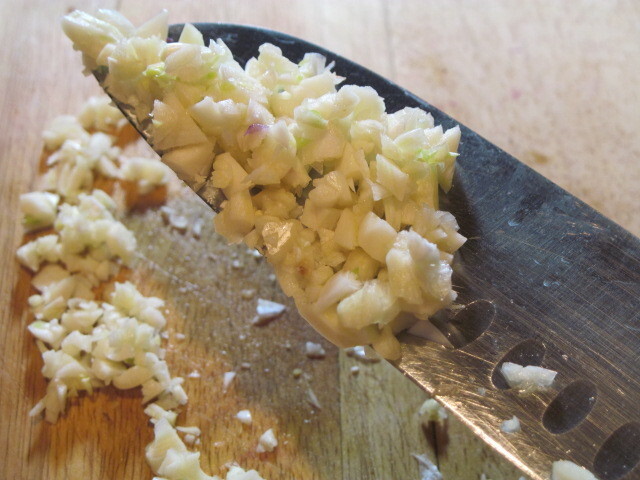 -Stir well to combine and add the remainder of ingredients. 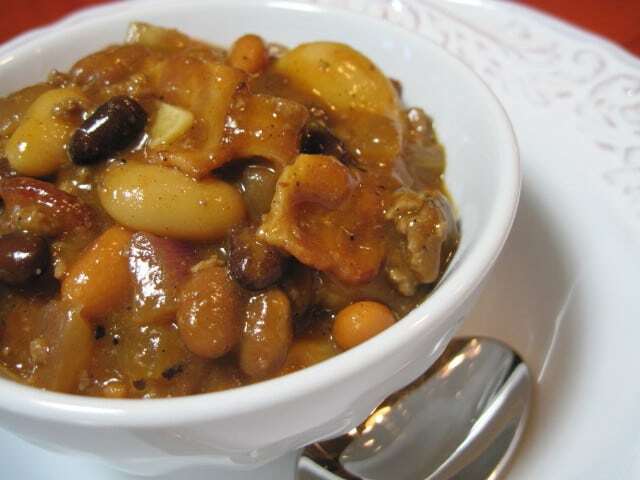 -Mix well and simmer on low heat until completely heated through. 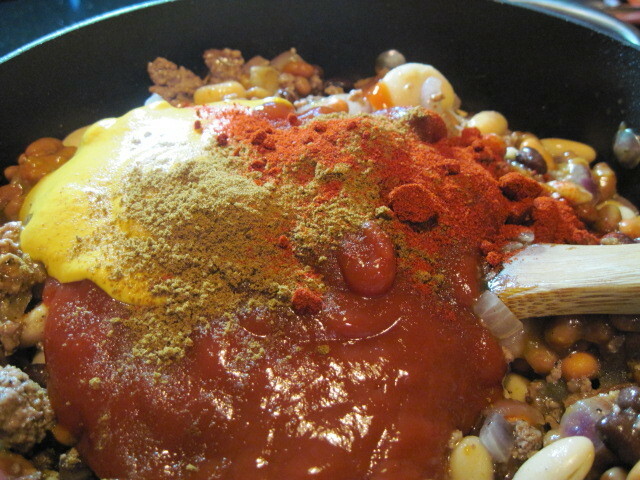 -Cover and transfer the pot (making sure it’s oven proof) into a preheated 350 degree oven and bake for 45 minutes. Grab your spoon and dig in. 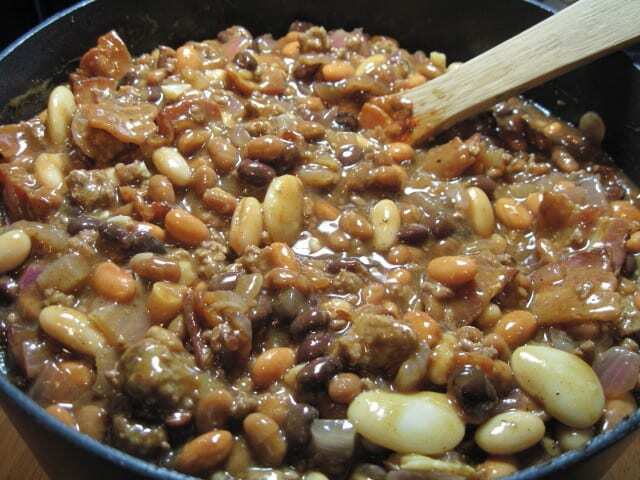 These beans are a little bit sweet, a little bit smokey and a whole lot of hearty. They can, and have been over the years, been a meal all by themselves. 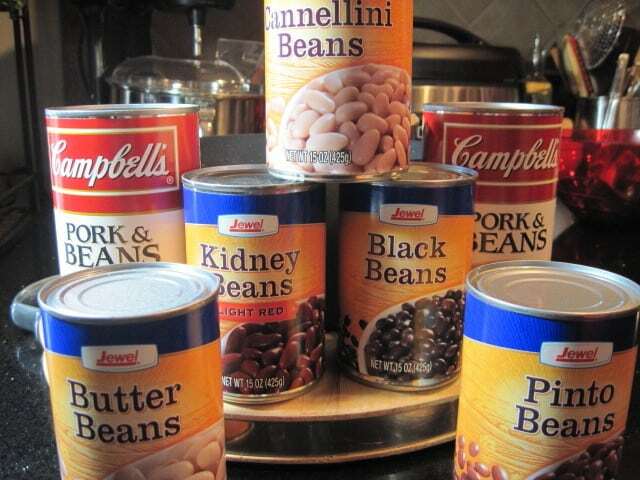 However, I’ll be serving them as a side dish this coming weekend as we celebrate the 4th of July in our own backyard with our long-time friends Pam, John, and Ken. See? I told you I’d get back to them… Life is good! When Life Gives You Lemons - Decorate!!! what a great post! My mom makes beans VERy similar to this and we LOVE them… especially the leftovers, we eat them cold with tortilla chips… mmmm so good! Hi Emily (aka Erin @eek09). So funny! I love the idea of eating this cold with corn chips. Brilliant! You can bet I'll be doing that!!! 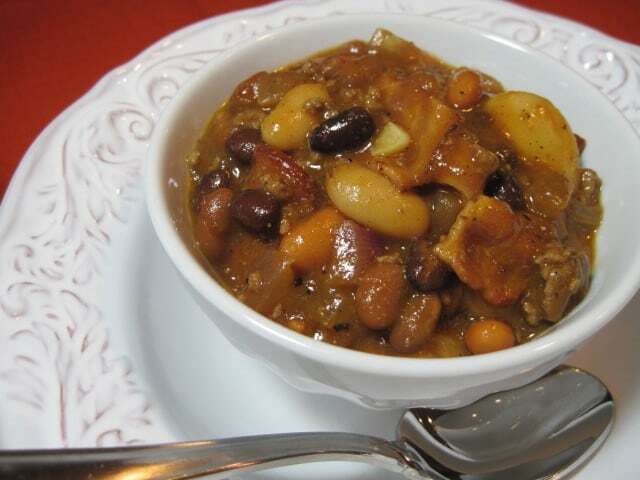 I'm sure Mary is smiling down at you and very happy that you shared her recipe! 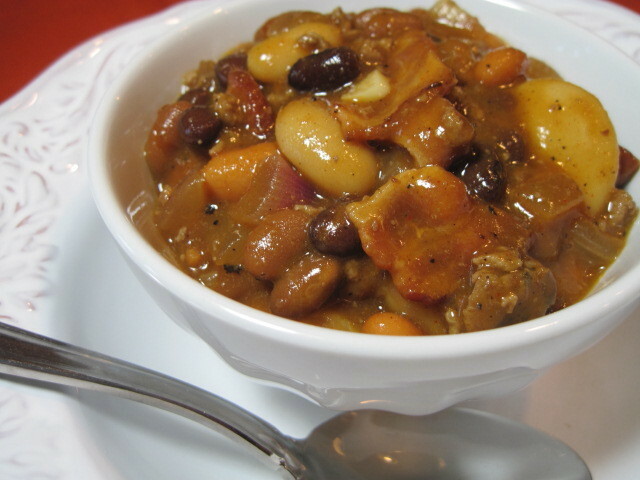 That is one hearty looking batch of home-made beans and this was one delightful post to read. I'm happy that you have remained friends over all these years with Pam, John and Ken. Have a wonderful 4th of July get together Renee. 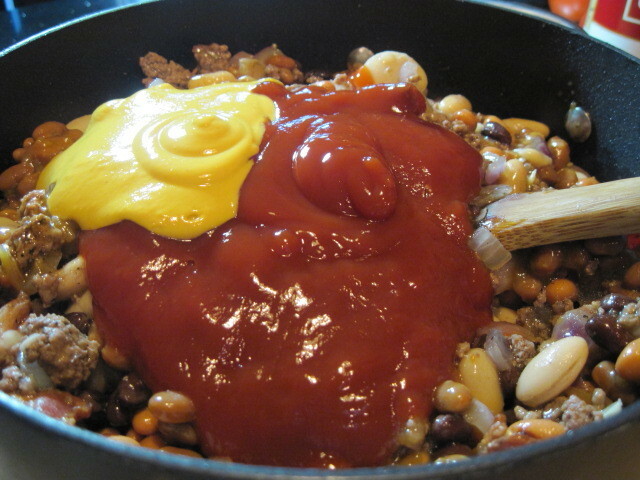 Looks like a nice and hearty!